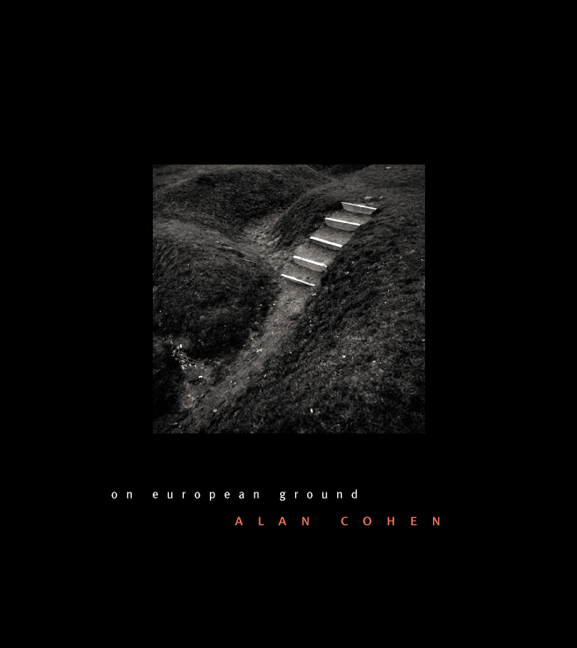 A profound visual meditation on the trauma that scars twentieth-century Europe, Alan Cohen’s On European Ground considers the battlefields of World War I, the Nazi death camps, and the Berlin Wall, and records the distance between what we remember about these places and what we can still observe in them today. By walking these sites and photographing the very ground in which their history has dissolved, Cohen opens a space for reflection on their complex gravity and legacy. Cohen’s images achieve a solemn beauty even as they engage history at its most topical. Pictures of trenches and bunkers at the battlefields of Somme and Verdun explore the tension between the violence of the past and the inscrutability of its remnants. Photographs from the grounds of Dachau and Auschwitz solicit a provocative dialogue between the ordinariness of these sites today and their haunting memory. They teach us, as the New Art Examiner notes, "that the living perceptual connection to the Holocaust is vanishing." Images of the Berlin Wall show only the footprint of the barricade that once separated two hostile ideologies. They record the physical erosion and looming disappearance of the Wall while capturing its reappearance as a memorialized abstraction. Accompanying the photographs in On European Ground are essays by Sander Gilman and Jonathan Bordo, as well as an interview with Cohen by critic Roberta Smith of the New York Times. The essays present both an introduction to and aesthetic analysis of Cohen’s work, while the interview discusses the intractable problems of history and memory that his photographs so uniquely capture.